The Friends of the St. Croix County Fairgrounds was founded in 2008 as a non-profit fund raising corporation with 501C3 tax status. 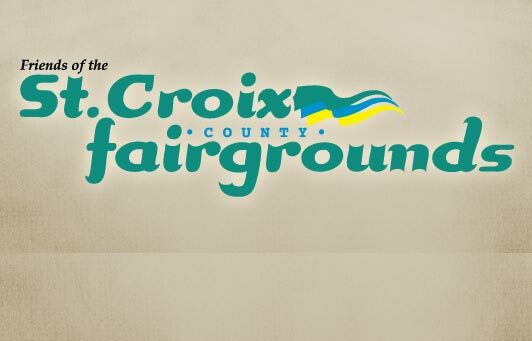 The mission of the Friends of the St Croix County Fairgrounds s to enhance cultural, educational, economic & social opportunities for the youth and adults of St. Croix County. This will be done through the “Renovations for the Generations” capital campaign to fund construction/renovation of dairy, equine and sheep barns plus a four-season, multipurpose event center. Dairy Complex completed for the 2013 St. Croix County Fair and fully funded by the 2105 St. Croix County Fair. 4-H Heritage Dairy Calf Project, a joint project with the St. Croix County 4-H Dairy Committee, is in it's 7th year with seven (7) purebred heifer calves awarded to deserving 4-H Dairy Project Members.